Need a gift for a guitar or bass guitar player? 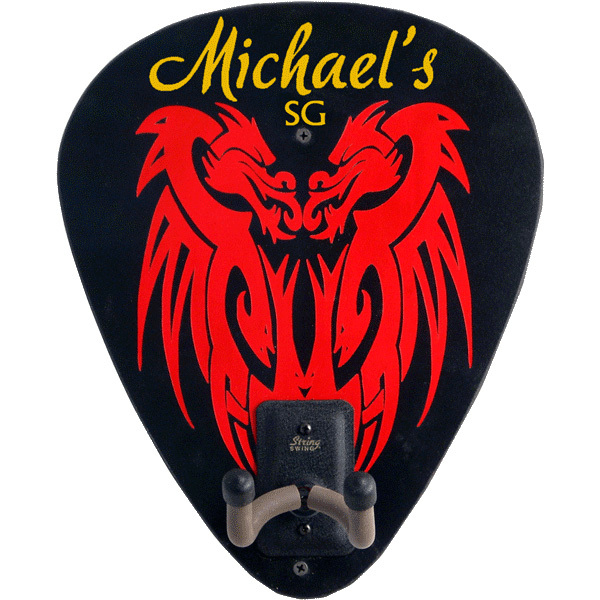 Our personalized guitar hangers are just the thing - shaped like a pick, custom silkscreened with name of your choice (and even space for a band name or a guitar's name or model! 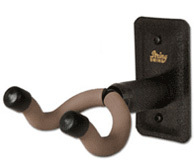 ), cushioned String Swing guitar hanger, made in the USA, and ready to hang... everything you need for a great gift! We offer two designs: a sylish scroll design (perfectly compliments an accoustic or wood guitar) and an intense red dragon theme (great for electric and bass guitars). 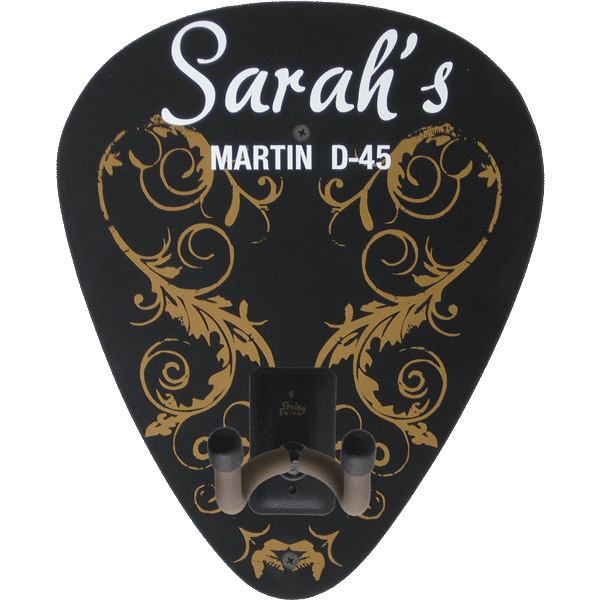 These are customized with up to two lines of text and ship in 2-5 days for a quick personalized gift for a musician. Check out our complete line of Music & Theater home decor plaques, including guitar, jazz, and drummer's lounge signs, home theater and cinema plaques, karaoke and music studio themes, and more, all of which can be personalized with name or text of your choice!